a 5.22-kg object is attached to the bottom of a vertical spring and set vibratin. 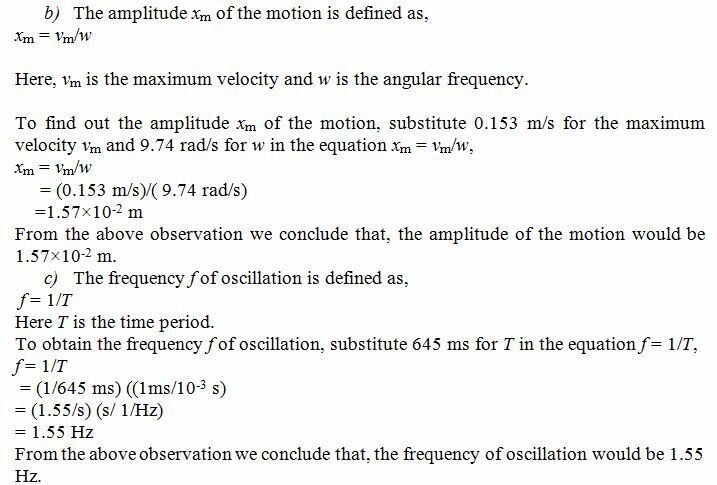 the maximum speed of the object is 15.3cm/s and the peroid is 645ms .find the force constant of the spring ,the amplidude of the motion , and the frequncy of the motion . I have attached an image containing the solution. If you find any difficulty, please feel free to ask.